Whether it is refuse collection, recycling or the disposal of bulk waste, OIG has a solution for you. We are driven by the goal to reduce your costs associated with the disposal of waste. 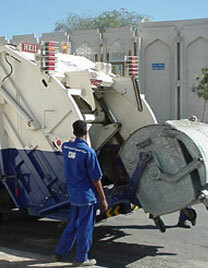 Our national reach and expertise allows us to deliver waste management solutions adapted to your particular scenario. We specialise in keeping car parks, compounds, beaches and parks free of waste for the benefit of our clients and the population at large.